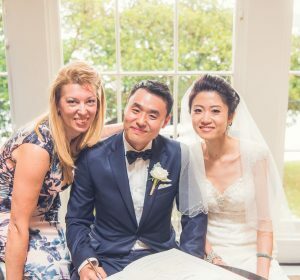 Michele is such a joyful and beautiful person and conducted our ceremony with exactly the mood and feel that we were looking for. She gave us the right amount of space and contact and I have recommended her to other friends who have also loved her. Highly recommended! 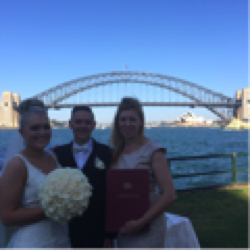 Michele went above and beyond to ensure we had the best ceremony. The script was so beautifully written. 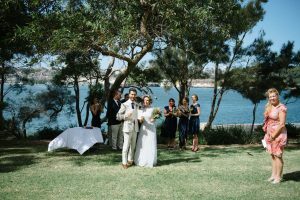 Michele is fantastic - we were looking for a laid-back yet professional celebrant and Michele is all that with a keen sense of humour, and extremely well organised. 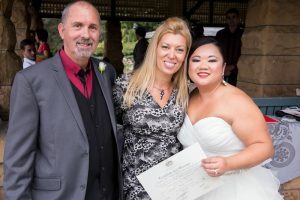 She was great, she helped us write our vows and did an awesome ceremony. It wasn't boring, it was so much fun!